The next step is to create a JSON Resource Policy that will deny the deployment of Azure Resources if it’s not deployed in Australia: View the code on Gist. 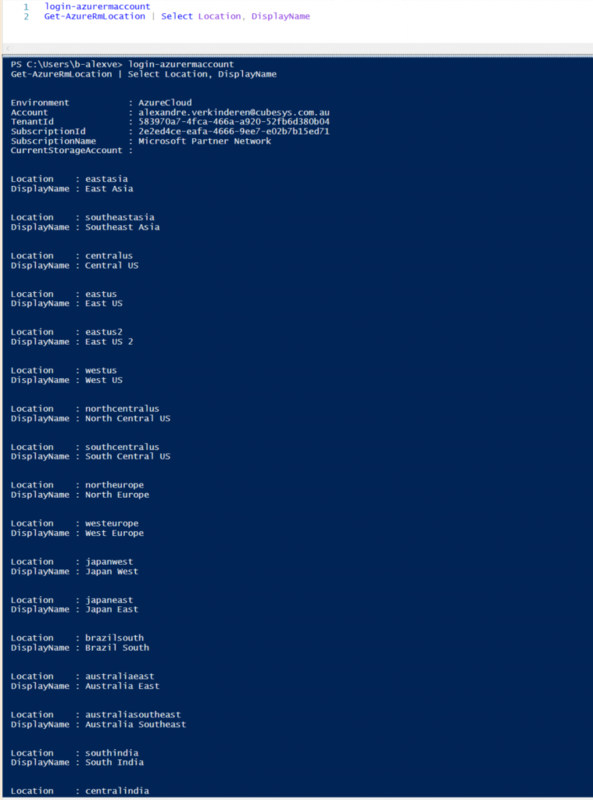 We will reuse our PowerShell deployment script from the first blogpost to assign the policy on the subscription level. That’s it, mission accomplished! 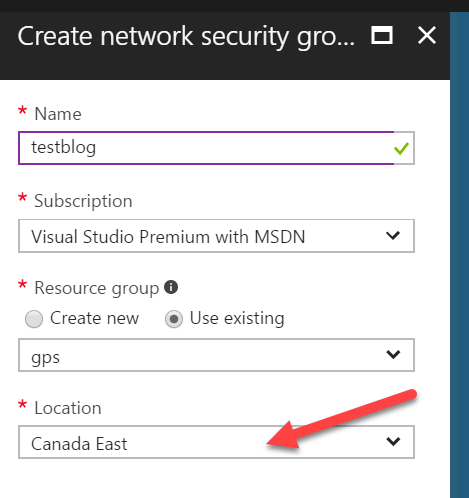 After running the script and assigning the location policy you should see the following policy assigned to our subscription: To test our new Azure Resource Policy lets deploy something in Canada. As you can see the deployment is being blocked by our Policy! 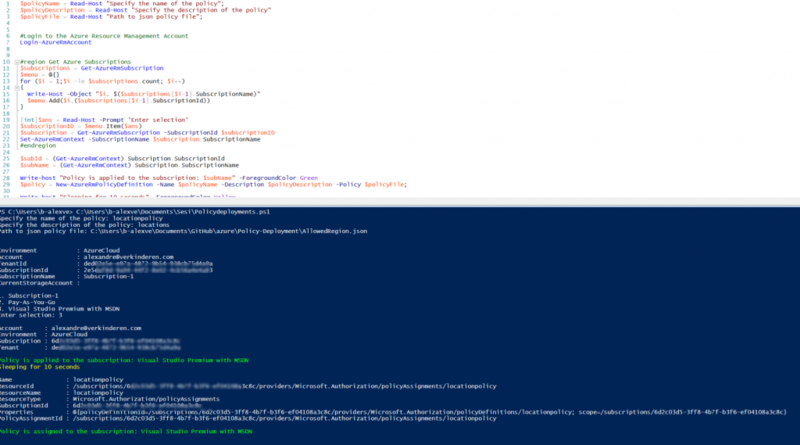 In the next blog post we will use the same PowerShell script but create and assign a policy to enforce a naming convention. So stay tuned!